I’ve been spinning lately with such good news about A DANCE LIKE STARLIGHT that I am literally seeing stars! This book has been such a privilege to be part of from the very beginning and the fact that others see value in this book is a great honor indeed. 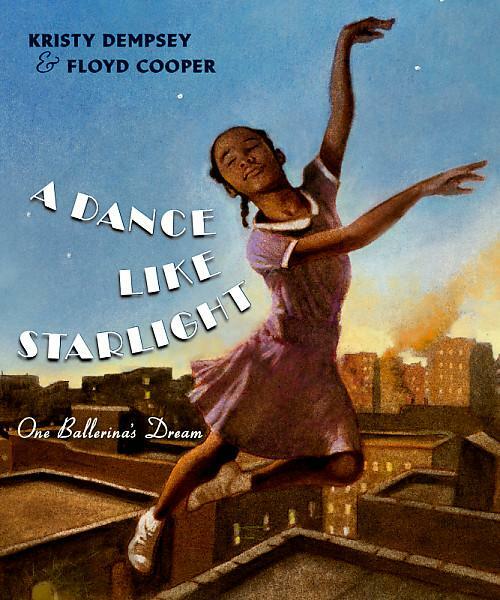 At the beginning of March, A DANCE LIKE STARLIGHT was named the winner of the Golden Kite Award for Picture Book Text! I will go to California in August to receive the award and to present at the SCBWI Annual Conference in Los Angeles. Be sure to check out the honor winners, as well as the winner of the Sid Fleischman award for Humor by clicking here! Also, A DANCE LIKE STARLIGHT has been named to the 2015 CCBC Choices list and to the 2015 Bank Street Best Books of the Year list! Both lists help me tremendously in planning my library purchases each year.